A trip to Japan, a ritual, a way to enjoy a unique experience where only 10 diners share a single table laden with individual stories. Come alone or accompanied and experience the ritual. We’ll be back on March 21st after a few months preparing and researching so we can continue to surprise Japanese cuisine lovers. 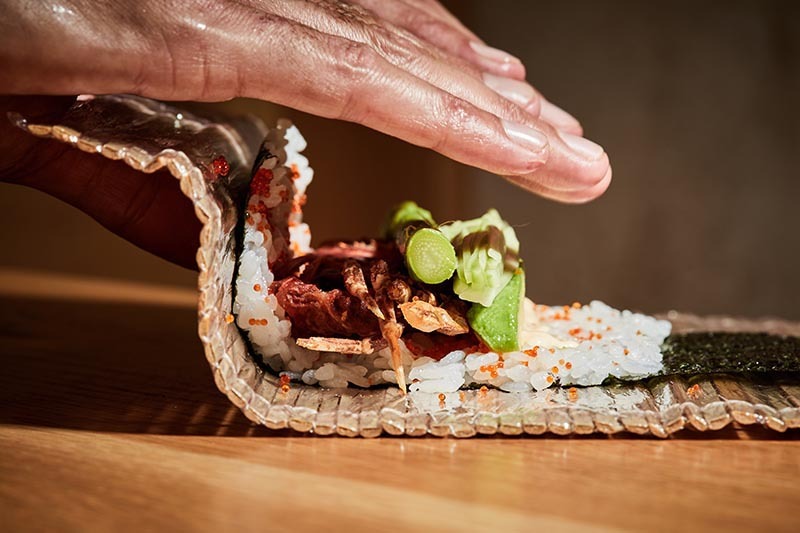 The only Omakase restaurant in Mallorca: “Trust the chef” to prepare whatever he wishes, so you can become a part of something unique and exclusive. Our concept of this unique Japanese restaurant in Mallorca was brought about by the Kairiku restaurant Itamae last season in southern Mallorca and which will be back next spring with new proposals for experiential and surprising gastronomy, with a view to its new reopening on March 21st , 2019. A Japanese restaurant in Mallorca, where creativity and authenticity merge into one of the best cuisines on the island, led by our Itamae (Chef) César León, who undoubtedly and masterfully executes a menu based on the Omakase culture and who conveys a sensory level at the height of luxury through the flavors, nuances and textures of authentic Japanese style. All this, served within a shared space in of an old cellar of a Mallorcan house, where diners can share and interact with the chef. A paradise for the senses, experienced through an innovative, Japanese concept.